Perfect Piano is an intelligent piano simulator designed forAndroid phones and tablets. With in-built genuine piano timbre,this app can teach you how to play the piano and amuse you at thesame time! [ Intelligent Keyboard ] • 88-key piano keyboard •Single-row mode; Double-row mode; Dual players; Chords mode •Multitouch screen support • Force touch • Keyboard width adjustment• Multiple in-built sound effects: Grand piano, Bright Piano, MusicBox, Pipe Organ, Rhodes, Synthesiser • MIDI and ACC audio recording• Metronome • Direct sharing of recording file or set as ringtone •OpenSL ES low latency audio support (beta) [ Learn to Play ] •Learn thousands of popular music scores • Three guidance patterns:falling note, waterfall, music sheet (stave) • Three play modes:auto play, semi-auto play, note pause • Left & right hand setup• A->B loop • Speed adjustment • Difficulty adjustment [Multiplayer Connection & Competition ] • Play the piano withother players from all over the world • Make friends • Real-timeonline chat • Weekly new song challenge ranking • Create guilds [Support USB MIDI Keyboard ] • Supports standard General MIDIprotocol and allows the connection of MIDI keyboard (such as YAMAHAP105, Roland F-120, Xkey, etc.) 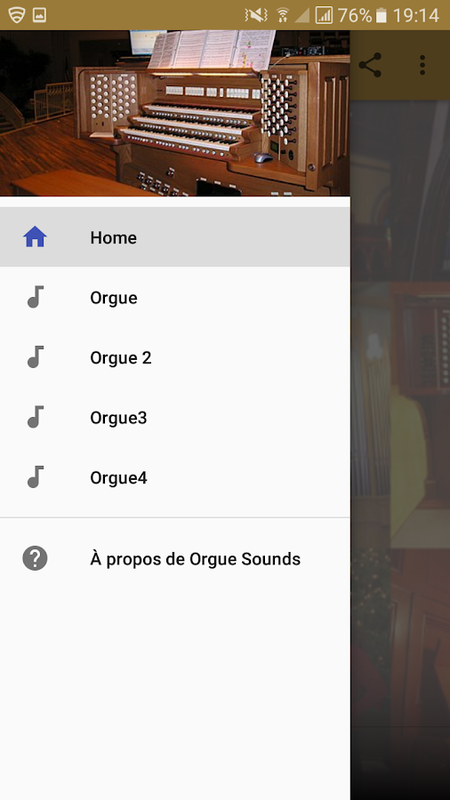 through USB interface • Perfectlycontrol the piano, play, record and compete via external MIDIkeyboard • Note: this function is only available for Androidversion 3.1 or higher and supports USB Host with the connection ofUSB OTG lines. [ Support Timbre Plug-ins ] • Timbre plug-ins arefree to download and install, such as bass, electric guitar, woodenguitar, flute, saxophone, electronic keyboard, violin, chord,xylophone and harp. [ Piano Widget ] • A small piano widget foryour home screen. You can play music any time without opening theApp. If you have any questions regarding the use of app, pleasecontact us: • Feedback: [email protected] • Facebook:https://www.facebook.com/PerfectPiano Let's rock and roll! at a time like this still nyari book or magazine guitar key?stillbrowsing a waste of internet quota? we dedicate a complete setofguitar keys guitar band indonesia. Starting from old schoolsongsto the latest songs and updated and updated at the timethisapplication is uploaded. This application can be as anadditionalreference for those who like hanging out, singing, singleorgan,dangdut orchestra, or gig at the cafe. This guitar key canplay inthe form of any musical instrument such as guitar, banjo,bass,mandolin, ukulele, piano, keyboard, violin, and others. Forthoseof you who are beginners or already professionals can also usethisapplication as entertainment only or to learn.=>FeaturesExisting in the Guitar Key Application:* Full Offline candirectlymaen guitar* 2000 more Chord Band Name* 22000 more chords*Bandcategory is alphabetical* Category titles are basedalphabetically*Chord and lyrics* Simple and easy to use* SearchFeature* AutoScrool* Bookmark / favorite chords* Transpose Chord*Chart powerfulmusic The most popular song* The most popular songand oftenplayedGood luck, and enjoy the offerings of ourapplication isOFFLINE not reduce your quota. Harmonium is a musical instrument which is a free-reed organ thatgenerates sound as air flows past a vibrating piece of thin metalin a frame. It is an important instrument in many genres of Indianmusic especially classical. It is widely used in India in Indianmusic concerts. A lot of Singers use harmonium for practicingvocals to make their vocals and music knowledge more strong.Wannabe singers use it to learn music, understand Sur and improvetheir vocals. Harmonium is one of the best instruments forpracticing vocals, understanding music , understanding Sur (doingSur Sadhna), understanding Raags (doing Raag Sadhana), doing Kharajka riyaz (for improving Bass notes in your voice – getting moredeep & resonant voice), improving surilapan (improving soundquality of vocals – sweetening vocals) etc. A normal harmoniumcosts something to you but GameG presents you the real Harmoniumfor free. Whether you are a musician or a singer (who usesharmonium for practicing vocals), you can carry your harmonium inyour device (android phone / android tablet). There are some placeswhere you can’t take your real harmonium but you can carry this oneeverywhere. Key Features:- Smooth Playing - You don't have to liftyou fingers if you wanna play next or previous key, you just haveto slide your finger smoothly on it. Coupler - Coupler provides theeffect of richness in the sound of the harmonium by adding soundsof an octave higher notes to the notes which you play. 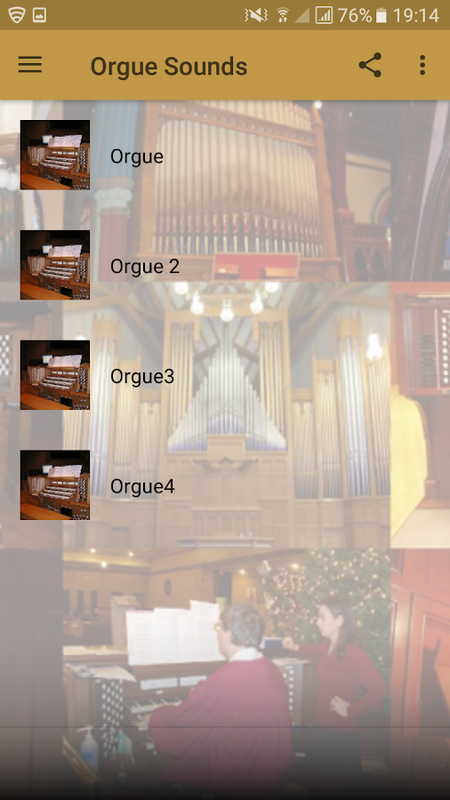 Zoom In /Zoom Out Keys - Use the Plus / Minus buttons for Zoom In / Zoom Outthe keys of the harmonium and adjust them according to your needs.Fullscreen Keys View - Now you can get a fullscreen keys view fromthe settings of the app, for getting more keys on the screen. Full version of Piano For You, the best piano app on themarket.Includes all available high quality instruments (Piano,Rhodes, Accordion and Church Pipe Organ) and option toexport/share/set as ringtone recordings.- Good sounding (sampledinstruments)- Good looking- Option for two stacked rows- Lowlatency (compared to the rest piano apps)- Custom instruments(record your own sample using microphone or open existent file)-128 MIDI instruments (really! )- Recording- MIDI over WiFi- Fullpiano keyboard (88 keys)- Nice key labels- Fast loading (less than0.3 second)- Multitouch support- Sustain pedal- No ads!Piano ForYou is suitable for professional musicians as well as for learningpiano. Many vocalists use it to track pitch. Composers use PianoFor You to record their musical ideas on the go. You should try ittoo :)Latency is a real pain on Android devices, but I've done allI can. Tanpura Droid is the software version of a Tanpura, this sitar-likeinstrument used in Indian classical music to play a drone soundthroughout a musical performance. Includes real sounds. Whether youpractice Indian music or just want a meditative background soundfor relaxing, we hope you'll enjoy this little free app. Incredibles Piano Magic Tile: a Magic White Tiles - the best musictiles piano game! Simplicity is the way to enjoy music games: Tapon the black tiles (piano keys), don’t touch the white tiles tofeel the rhythm and chords, to form a pleasant rising and fallingpattern of sounds. It’s similar to other incredibles piano games,you just have to tap the black tiles and avoid the white tiles thenenjoy the wonderful music in game. Game features: * Band mode whereyou can play with more instruments such as guitar, piano, andothers. * Especially, the advanced feature of battle mode – custommatch - which let you to compete directly with your friends andwhoever you want to. * High-quality piano songs, and some popularpop music which are frequently updated * The challenge mode whichleads users to improve their tapping speed in order to rank on thetop of the world. * Battle mode creates the opportunity for playersto compete with others around the world. * Treasure hunt is whereyou can open the boxes and received your valuable gifts. Remember,don’t touch the white tiles! gStrings is a chromatic tuner application measuring sound pitch andintensity. It will let you tune any musical instrument (violin,viola, violoncello, bass, guitar, piano, wind instruments, your ownvoice/singing). Features include: 1. multiple built-in instrumentsand tunings, 2. support for user-defined custom tunings, 3. a longlist of built-in temperaments (just, pythagorean, meantone, comma,etc. ), 4. support for user-defined custom temperaments, 5.orchestra tuning (shifting/redefining tone frequencies), 6. pitchpipe, and many more. If you were looking for a guitar tuner, tryit! Thank you note: most of the historic temperaments were includedcourtesy of NetCat AG. Note Rush is a fun game for practising note reading on the musicstaff to help you learn to play the piano, keyboard, flute,saxophone, violin... you name it! Note Rush shows you one note at atime in random order then uses the microphone to listen as you playthrough them like you would with note reading flash cards, onlythese flash cards check that you're playing the right note! Playwith a bunch of fun themes and race to earn stars and beat yourbest time! Note Rush is great for teaching keyboard geography bymaking sure each note is played in the correct octave. Anindispensable music theory must-have for learning sight reading atall levels of music education. Recommended by Music Teachers: "Ablockbuster hit with teachers and students... I especially likeusing it at group lessons." - Leila Viss, 88pianokeys.me "Note Rushhas quickly become my favorite app for piano teaching." - JoyMorin, colorinmypiano.com "Note Rush is a motivating app thatengages students to improve quickly with their note reading skills.It is definitely one of my top favorites and will be used often!" -Jennifer Foxx, musiceducatorresources.com "Note Rush is a great wayto review notes for the One Minute Club." - Susan Paradis,susanparadis.com *** Having trouble? Seenoterushapp.com/troubleshooting for help. *** Listens to YourInstrument ------------------------------ Note Rush helps studentslearn a strong association between notes on the page and keys onyour instrument by using your device's microphone to detect whenyou play each note. Works with pianos, keyboards, flutes, violins,you name it! (See Q&A below for more about supportedinstruments.) Student-paced ------------------ Note Rush goes asfast or as slow as the student with no time limits, so is suitablefor complete beginners right through to being a fun challenge forprofessionals! Grand Staff Context ----------------------- Thewhole grand staff is always visible, showing each note in fullcontext and helping students learn how notes are spacedout across the two staves. Octave-Sensitive Keyboard Geography--------------------------------------------- It's a "B", but which"B"?? Note Rush teaches keyboard geography by making sure you'regetting the note in the right octave every time. Great for HomePractise ------------------------------ Students will rush to theirinstrument at home every day with NoteRush, chasing that elusivehigh score! Unlike flashcards, children can drill noteidentification at home with no music-reading parent required tocheck if they're getting them correct - Note Rush checks for you!Play every day and you'll soon be able to name and identify notesinstantly! Fifteen Levels or Make Your Own! ------- Note Rush hasfifteen built-in Levels, from Middle C-Position right through tothe full grand staff with 2 ledger lines above and below. There areLevels for Treble Clef, Bass Clef or full Grand Staff! Or chooseyour own custom notes in Level Designer, with optional sharps andflats for an added challenge! Teachers can select notes for astudent then send their custom level as a Level Card via Email orText Message for the student to open on their device. Better ThanFlash Cards! ------------------------- Use Note Rush instead ofprinted flash cards! Note Rush was designed to replace the cardsused in One Minute Club - a challenge you can run in your studiowhere students have to complete a given level in under a minute.Give it a try! Having trouble? See noterushapp.com/troubleshootingfor some suggestions. -- Note Rush is made by Thomas Grayston, asoftware developer, pianist, and husband to a piano teacher.